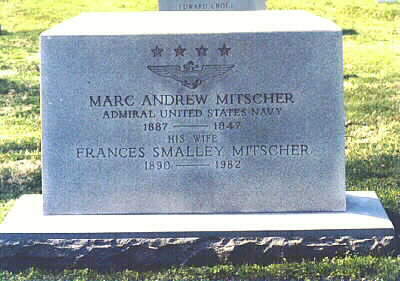 Admiral Marc A. Mitscher earned distinction as one of the U.S. Navy's great battle commanders in the 41 years he served his country. In August 1913 he served aboard the USS California on the West Coast during the Mexican Campaign. After subsequent duty on the destroyers Whipple and Stewart, he reported for aviation training at Naval Aeronautic Station, Pensacola, on board USS North Carolina, one of the first Navy ships to carry an airplane. Mitscher was designated Naval Aviator #33 on June 2, 1916 and remained at NAS, Pensacola for duty and further instruction. the successful, historic crossing. Then, Admiral Mitscher joined the USS Aroostook with additional duty later commanding the Detachment of Air Forces at Fleet Air Base, San Diego, California. He was then assigned to the Plans Division, Bureau of Aeronautics in 1922. Mitscher made the USS Saratoga's first takeoff and landing on January 11, 1928 in a Vought UO-l. He left Saratoga in June 1929 to return to the USS Langley, the carrier on which he was assigned for a brief period in 1926. The Admiral had a series of staff and command assignments until July 1941 when he went to Norfolk,Virginia, for the duty in fitting out USS Hornet. The carrier was commissioned on October 20, 1941, and Captain Marc Mitscher became her first commanding officer. During World War II, the Hornet was the "Shangri-La" from which American planes, under the command of Army Lieutenant Colonel James H. Doolittle, took off on April 18, 1942, to bomb military targets on the Japanese homeland. Aboard the Hornet, Mitscher led several successful attacks against the enemy carrier forces. He was relieved of command of the Hornet in July 1942, three months before she was sunk in an air attack at the Battle of Santa Cruz Islands. attacks against the Japanese home forces. He returned to the U.S. as Deputy chief of Naval Operations on July 10, 1945, and was appointed to the rank of Admiral and assumed command of the Eighth Fleet on March 1, 1946. He became Commander in Chief, U.S. Atlantic Fleet in September of 1946. 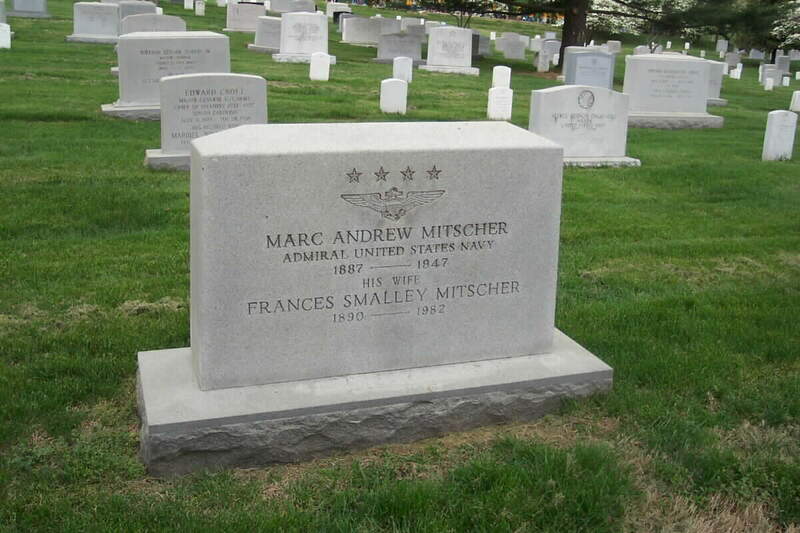 After 41 years of continuous Naval service, Admiral Marc A. Mitscher died of a heart attack on February 3, 1947. Admiral Arleigh Burke attributed Mitscher as being a "bulldog of a fighter, a strategist blessed with an uncanny ability to foresee his enemy's next move. He was above all else, a Naval Aviator."